On October 10th (2014) Angelina Jolie was made an honourary dame of the United Kingdom by the Queen. She was in fact not the only American to be recently honoured in this way. Likewise, a New Brunswick veteran was given a knighthood by the French Republic for his service in the Second World War. It is no small irony that it is easier for an American to receive an (honourary) knighthood by the Queen or a Canadian to be given a knighthood by a republic than it is for a Canadian to be knighted by their own sovereign. How did we end up in this ridiculous situation? Like many Canadian traditions the granting of knighthoods had been done since before Canada's inception. However, in the turbulent years of the First World War the process of granting knighthoods had been called into question. The problem was that people, who many felt were undeserving, were being granted knighthoods and hereditary honours. The response from the government of Sir Robert Borden was to draft a policy by which all Canadians had to be vetted by the prime minister before the list was sent to Westminster. However, Conservative MP William Folger Nickle felt that the granting of hereditary honours was itself inconsistent with democratic values. Nickle successfully moved a resolution through the House in 1917 asking the king to halt the granting of hereditary peerages and knighthoods. The resolution was never advanced to the Senate and no request was ever made to the king. In 1919 the issue was again brought up by MP Nickle after the revelation that knighthoods were being bought in the UK. This resolution went further by banning honours given by foreign governments. The resolution again passed in the House and again did not go to the Senate where it was expected to be defeated. As a resolution rather than an act of parliament it was not, and is not, binding on the Canadian Government. For this reason from 1933-35 Prime Minister R.B. Bennett continued the practice of submitting names of worthy Canadians to be honoured. 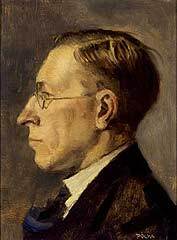 One of the Canadians honoured during this period was Sir Frederick Banting, the discoverer of insulin. However, the prime minister after Bennett was Mackenzie King who would govern until 1948 effectively entrenching the Nickle Resolution as government practice. The entire process has been rather shameful with successive governments willing to throw out a long-standing part of the Canadian honours system rather than carry out the process of fixing the comparatively minor issue of the vetting process. Today Canada has its own honours system but the ban on knighthoods remains in effect. Meanwhile, other Commonwealth Realms have restored the granting of knighthoods (notably New Zealand and Australia). In 2006 Christopher McCreery, an expert on Canada's honours, argued that the current three grades of the Order of Canada were insufficient to properly recognize the nation's very best. Reestablishing Canadian knighthoods would also allow Canadians to be appointed to the top two classes of the Royal Victorian Order from which they are currently barred since these classes confer titles. Titled honours exist to give people a 'mark of honour', to designate the best of the best. Informally we already do this. We refer to our doctors and professors by their titles to acknowledge their expertise and experience. However, these titles acknowledge specialized worthiness while Knighthoods can be used to acknowledge general worthiness (and to acknowledge exceptional members of the aforementioned professions and others). Canadians are no less worthy of knighthoods than Americans. It is time to lift the ban and reinstate a Canadian order of knights.